Although most people are never in a situation where they are present when someone is killed, it does unfortunately happen. Depending on the nature of the death, criminal charges can be brought forth against someone who caused the death. In situations where a death occurs due to the fault of someone else, the event is called a homicide. In many states, homicides are divided into overlapping legal categories, including murder, manslaughter, and justifiable homicide depending on the circumstances of the death. In North Carolina, the state has a distinction between murder and manslaughter. This is determined by the state of mind of the accused at the time the crime was committed. Manslaughter is the unlawful killing of a human being without express or implied malice. This means the killing did not occur with—intent to seriously harm or kill, or extreme, reckless disregard for life. The absence of malice aforethought means that manslaughter involves less moral blame than either first or second degree murder. An example of manslaughter is a case in which a drunk driver strikes and kills a pedestrian with their vehicle. The act was not intentional, but the driver acted negligent by operating the vehicle while intoxicated. Since manslaughter is a serious crime, it does carry a hefty penalty, although the punishment for it is generally less than that for murder. North Carolina has 3 categories for manslaughter charges. This is often called a “heat of passion” crime. The circumstances leading to the killing must be the kind that would cause a reasonable person to become emotionally or mentally disturbed to the point to commit the crime. For “heat of passion” to exist, the person must not have had sufficient time to “settle down” from the incident. For the killing to not be considered first or second degree murder the concession of human weakness. Killers who act in the heat of passion may kill intentionally, but the emotional context is a mitigating factor that reduces their moral blameworthiness. The classic example of voluntary manslaughter involves a husband who comes home unexpectedly to find his wife committing adultery. The sight of the affair is often considered enough to provoke the husband into such a heat of passion that he kills one or both of the participants at that moment, a judge or jury might very well consider the killing to be voluntary manslaughter. On the spectrum of homicides, this offense lies somewhere in between the killing of another with malice aforethought (aka, murder) and the excusable, justified, or privileged taking of life that does not constitute a crime, such as some instances of self-defense. Involuntary manslaughter often refers to unintentional homicide from criminally negligent or reckless conduct. It can also refer to an unintentional killing through commission of a crime other than a felony. The subtleties between murder and manslaughter are very difficult to find with involuntary manslaughter, particularly because an accidental killing through extreme recklessness can constitute second degree murder. 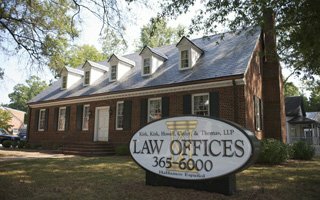 An experienced Raleigh criminal lawyer will recognize the distinctions and be able to conduct a case that is best suited for the charges. What must be Proven for a Guilty Verdict for Involuntary Manslaughter? Charges of involuntary manslaughter are often issued in cases of car crash fatalities, caused by a motorist under the influence of alcohol or other drugs. While the motorist did not have the intention to kill anyone, his or her negligence by driving under impairment is enough to justify the charge. Vehicular manslaughter is the unlawful killing of someone with a vehicle through negligence or reckless driving. Many factors can determine the severity of the punishment for vehicular manslaughter and varying circumstances of the accident can determine the penalties for a conviction. In vehicular manslaughter cases, the courts consider all evidence presented by a North Carolina prosecutor against the defendant. When is a Homicide Not a Crime? Homicide is not always a crime, such as in cases of self-defense or the state-sanctioned execution of certain convicted criminals. Criminal homicides involve either negligence or willful intent. What Type of Sentencing is Common for a Homicide Case in North Carolina. North Carolina enforces the death penalty for some instances of 1st degree murder. However, Sentences also vary widely, depending on the severity of the crime and other mitigating factors. For example, some states sentence convicted murderers to death but provide psychiatric treatment to those acquitted by reason of insanity. During the criminal case, the prosecution will look at factors that will effect sentencing. These factors can carry enough weight to help reduce the severity of the penalty should a guilty verdict be assessed. The varying degrees of severity in manslaughter cases ultimately dictate what a sentence will be. A manslaughter conviction sentencing may mean life imprisonment, but also there is the potential for lesser sentencing, depending on the presence of aggravating or mitigating factors. However, there are a few standards that can be viewed to determine the potential sentence. a Class D Felony and carries up to 40 years of prison time and major fines. a Class F Felony which carries up to 20 years in prison and major fines. Vehicular manslaughter can range from misdemeanor to felony. The conduct of the driver during the killing determines the weight and severity of the charge. North Carolina classifies Vehicular Manslaughter committed while intoxicated as a separate, Class F felony which can result in 6 years of prison time, major fines, and other issues that can be detrimental to your future. In order to successfully defend against a charge of manslaughter, a few elements should be presented to your attorney. The answers to these questions are important to piece together the best defense possible. Was the killing an accident? Were you acting in self-defense when the death occurred? Imperfect – an unreasonable belief that deadly force is necessary, some bad behavior on the part of the defendant, or both. An example of imperfect self defense would be if the defendant kills in self-defense, but was the original aggressor in the situation that led to the homicide. Additionally, the state could potentially charge the killing as voluntary manslaughter. In a case such as this, a claim of perfect self-defense is the only viable claim available. In effect, an imperfect self-defense claim is a justifiable admission that the defendant did in fact commit voluntary manslaughter. Unfortunately, in life fatal accidents happen. If the death is the result of an accident, a voluntary manslaughter defendant could possibly achieve a reduction to an involuntary manslaughter charge. If a defendant meets the legal definition for insanity at the time of the homicide, the justice system will not hold them accountable for their actions. An insanity defense is based on the defendants inability to understand the result of their actions or distinguish between right and wrong. A strong defense attorney might succeed in dropping the charge to one of manslaughter from a higher murder charge, but intoxication doesn’t offer a very good defense to a direct manslaughter charge. A homicide by intoxication is one of the situations the crime of manslaughter was developed to address. In our judicial system a prosecutor carries the burden of proving beyond a reasonable doubt that a defendant is guilty of the crime charged. Until that time, all those charged of a crime are protected by the constitution to be presumed innocent. During a trial defense, a defendant can claim an alibi or attack the validity of the prosecutions evidence. If the jury finds that the defendant has raised a reasonable doubt about their guilt, they will move to acquit the accused. Have You Been Arrested in Raleigh? Whether you face an investigation for shaken baby syndrome, an alcohol-related fatality, or another alleged killing, our Raleigh criminal defense attorneys we will fight for your case. Our goal is to help you resume your life by proving innocence or to drop or reduce your charges, which can, in some cases, mean reducing a first degree murder down to involuntary manslaughter. If you have been charged with manslaughter, then our Raleigh criminal attorneys are ready to serve you. Since 1957, the criminal law team at Kirk, Kirk, Howell, Cutler & Thomas, LLP have helped individuals accused of violent crimes. If you have been charged with manslaughter then our Raleigh criminal lawyers are only a call away. You can schedule a consultation with a Raleigh criminal attorney by calling 919-615-2473 or completing the online contact form below.